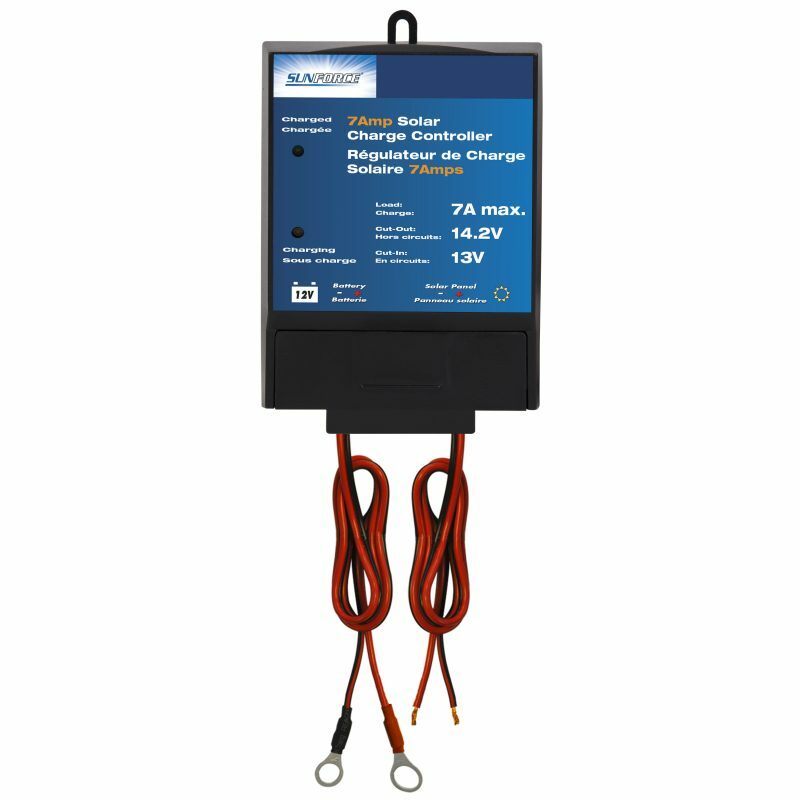 The Sunforce 7-amp solar charge controller handles up to 105 Watts of power from a 12-volt solar panel. This controller prevents any overcharge of a 12-volt battery. LEDs display charging and charged status. 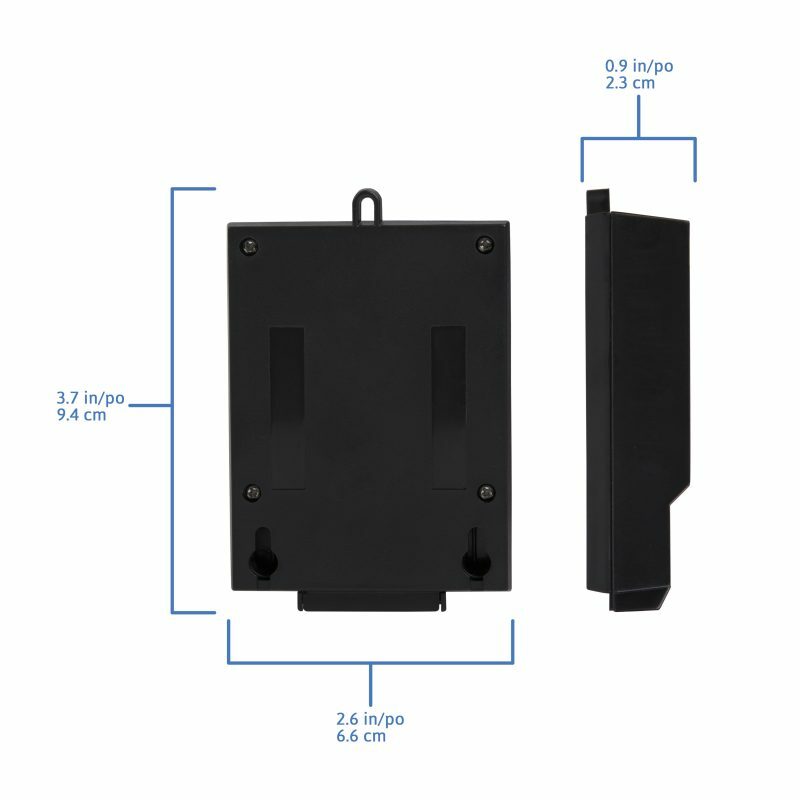 A charge controller is the layer of protection for your solar system. They are designed to protect the battery from overcharging and to prevent reverse current to panels during the night. They also regulate the voltage that comes from the solar panel which can vary with the sun conditions and may peak as high as 26 volts for a 12 volt nominal output solar panel. 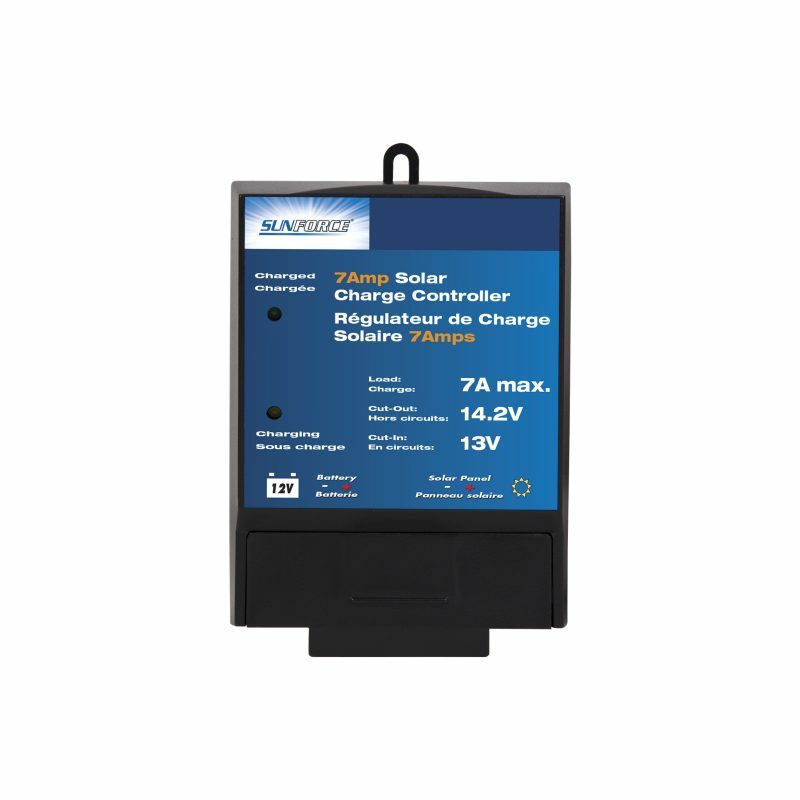 The solar charge controller manages the charging of your 12V battery. 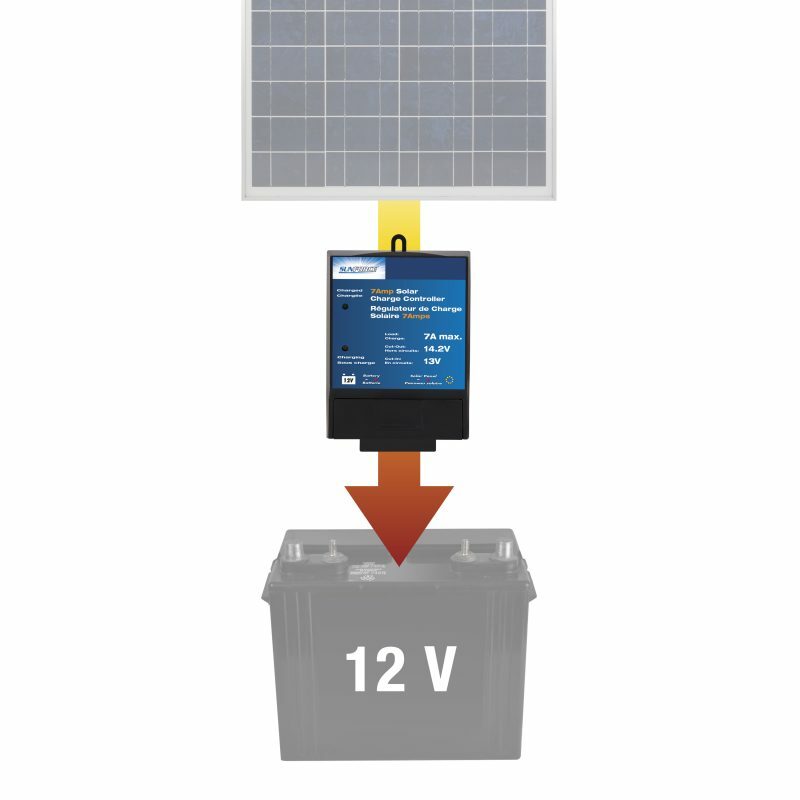 Once the battery is full the solar charge controller stops the respective solar panel from overcharging your 12V battery and prevents reverse current. When the charge of the battery goes down, i.e. voltage goes down, the charge controller will sense this and allow the solar panel to recharge the battery.